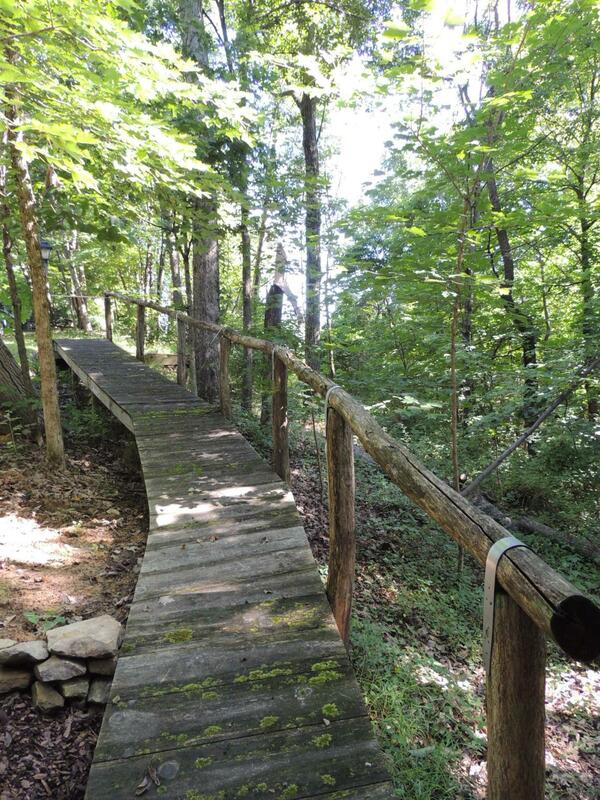 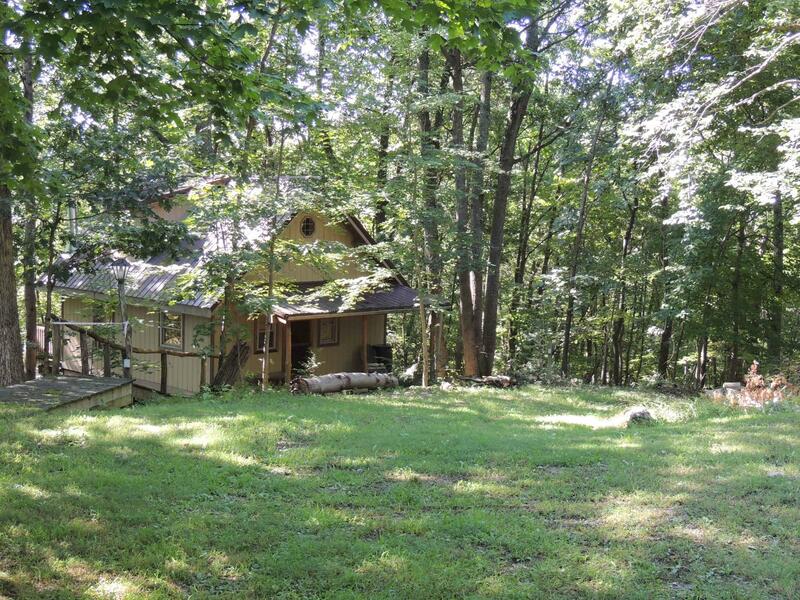 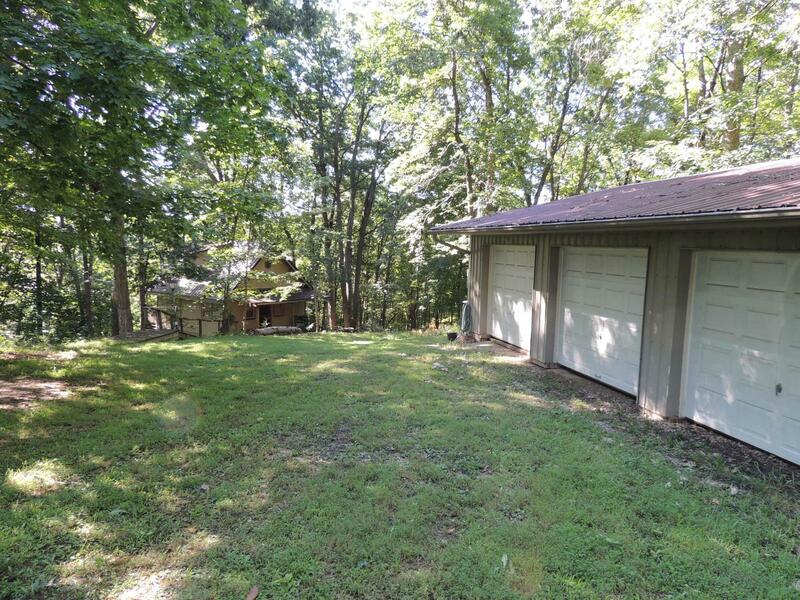 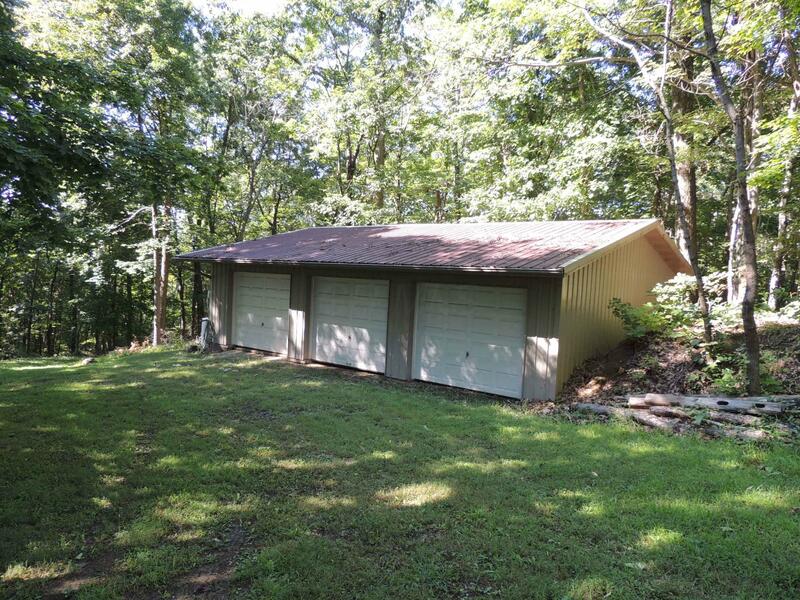 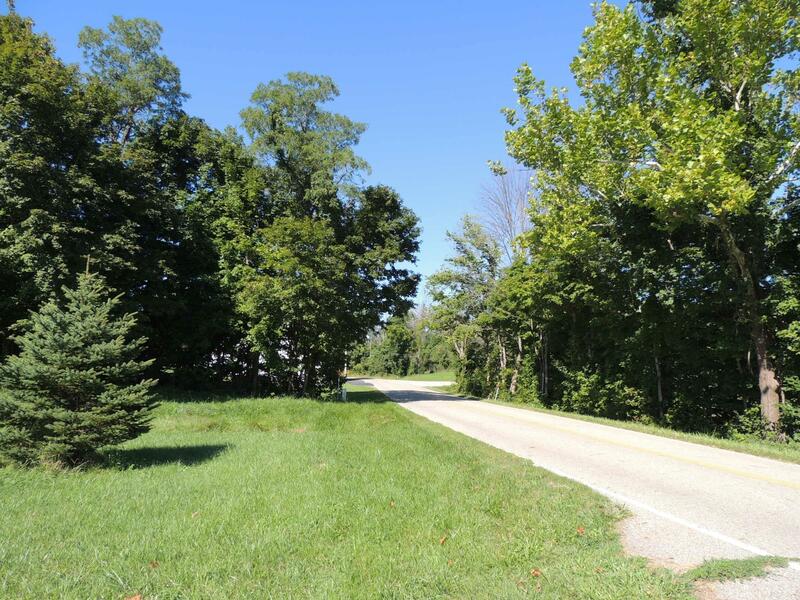 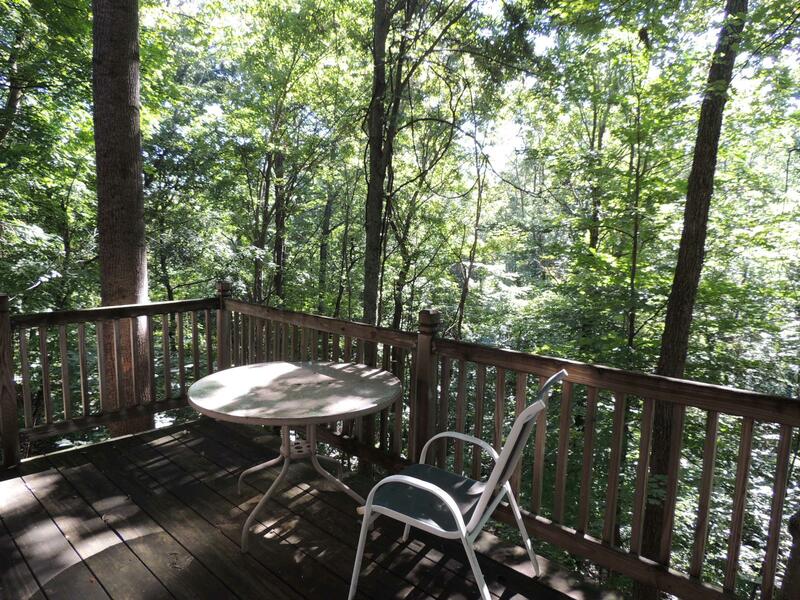 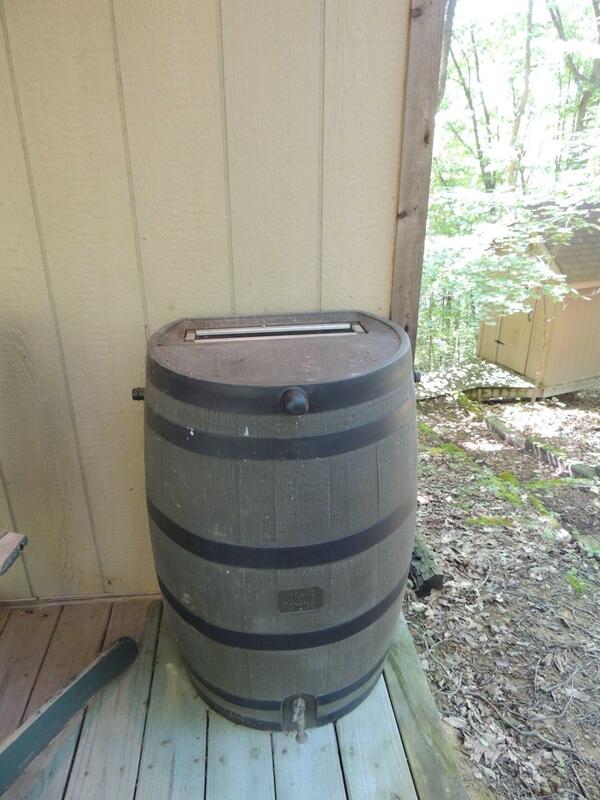 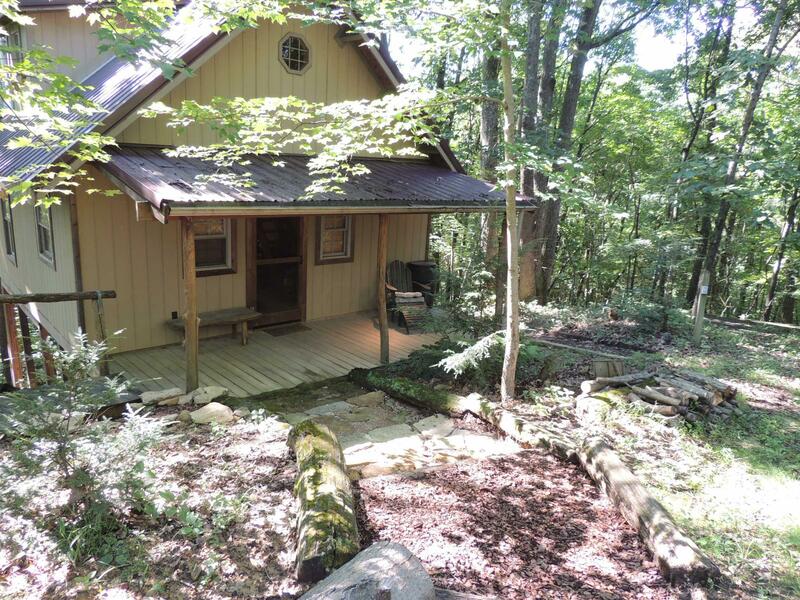 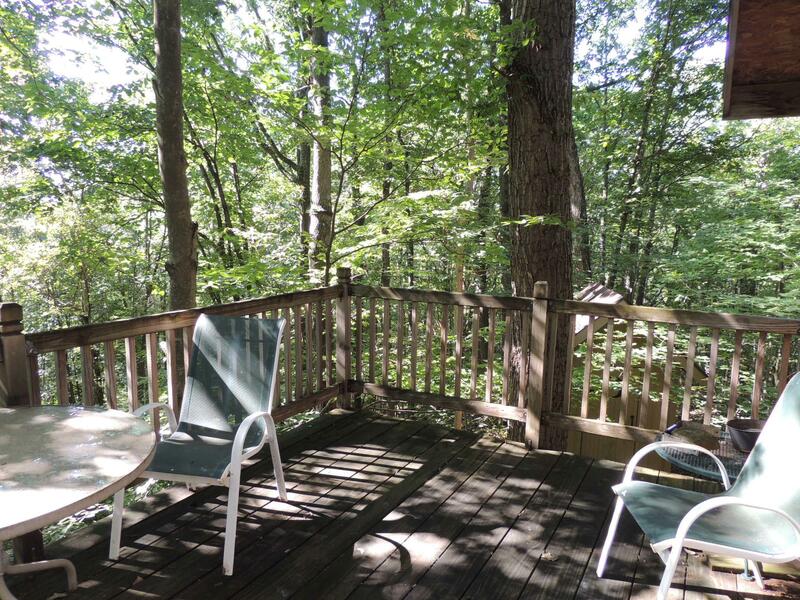 Tucked in the woods near all Hocking Hills park destinations on scenic Thompson Ridge Road. 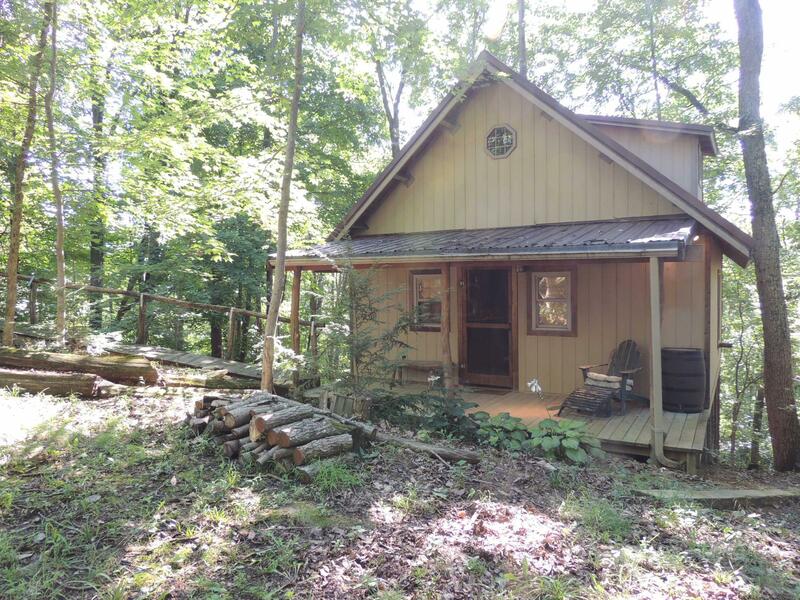 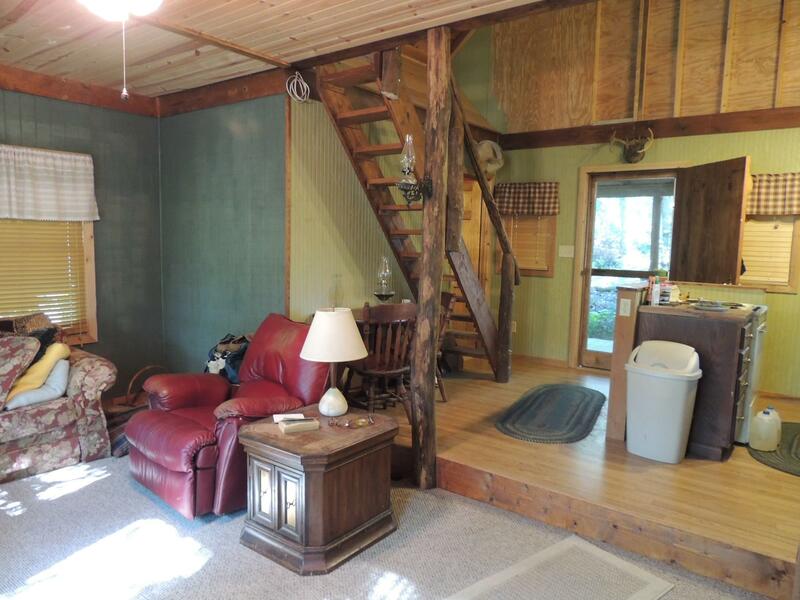 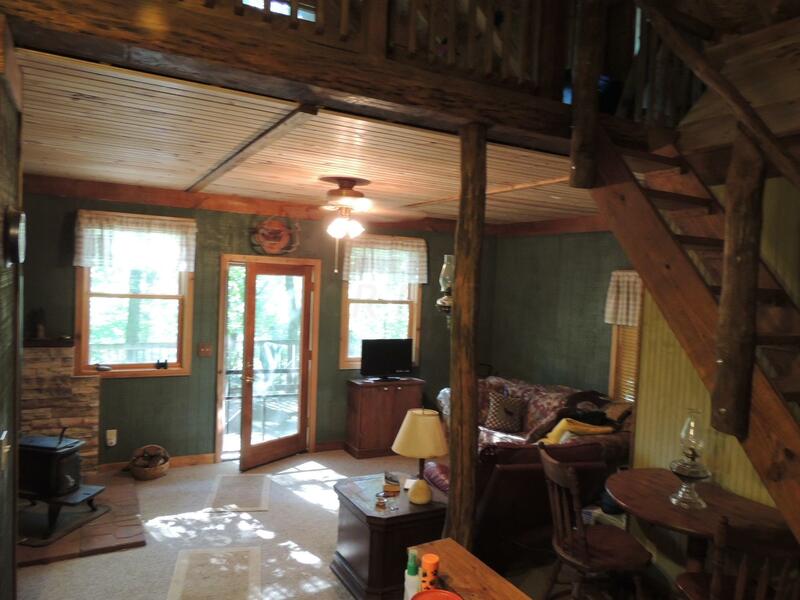 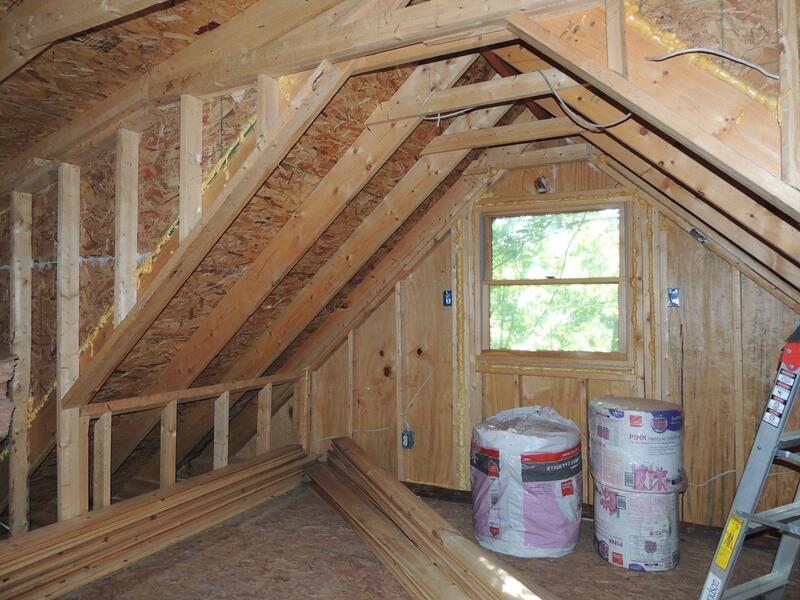 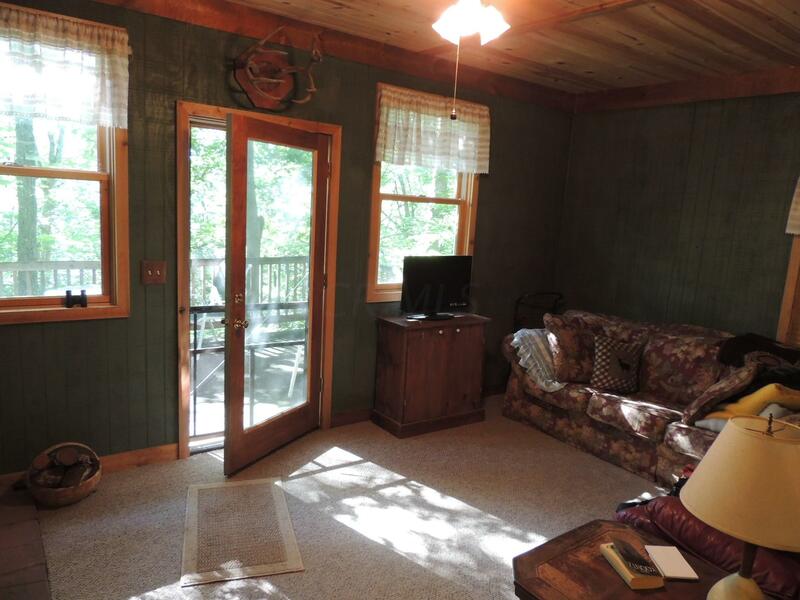 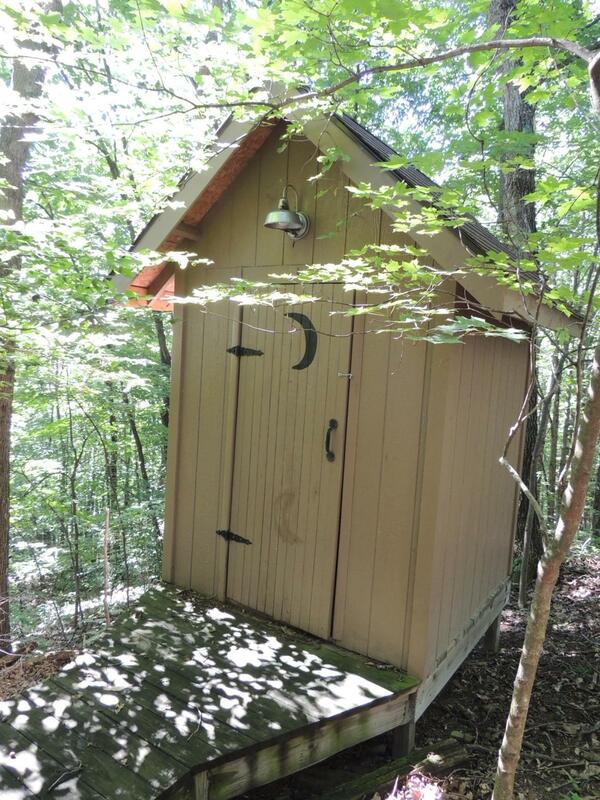 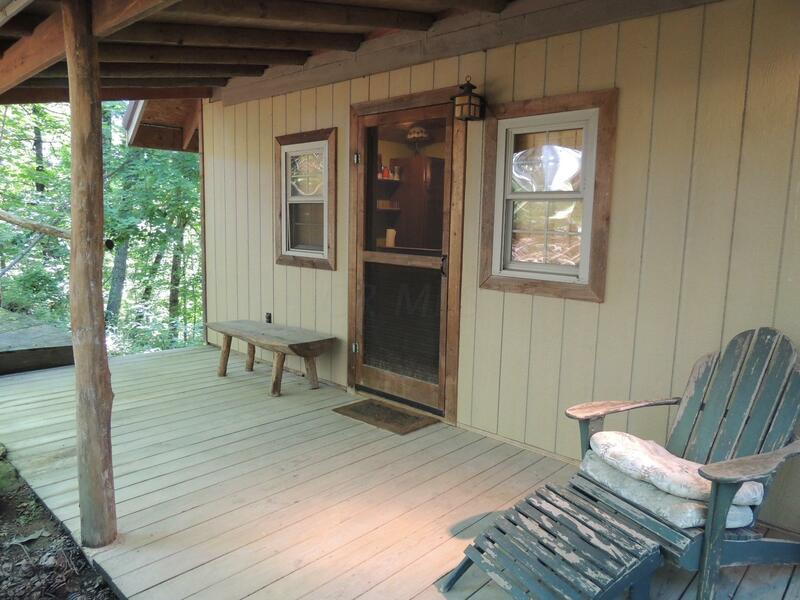 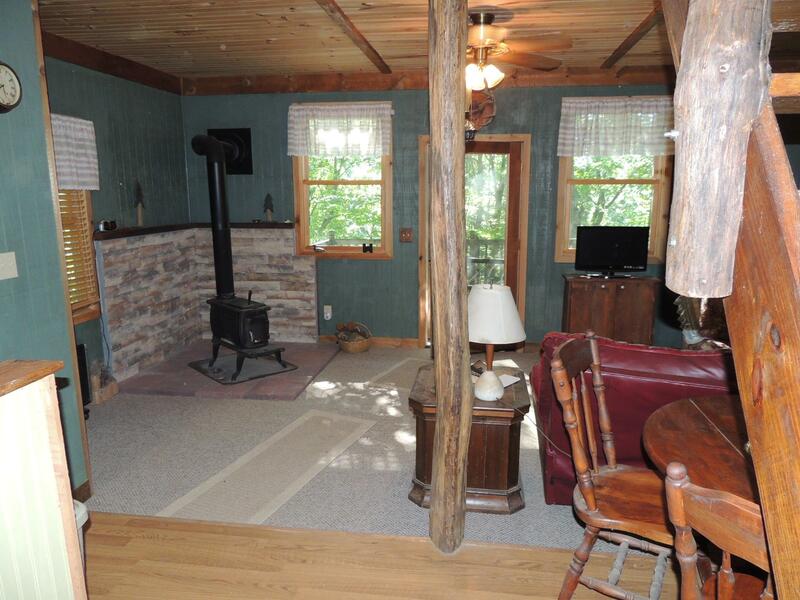 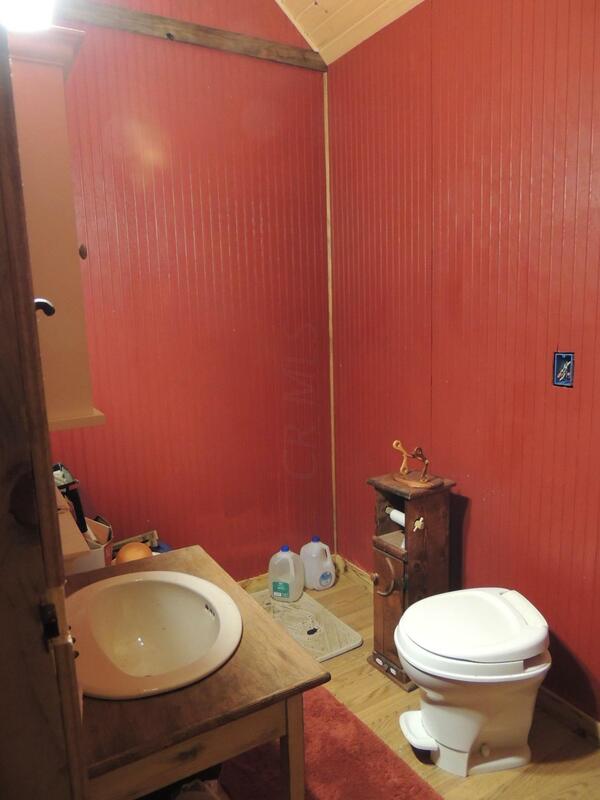 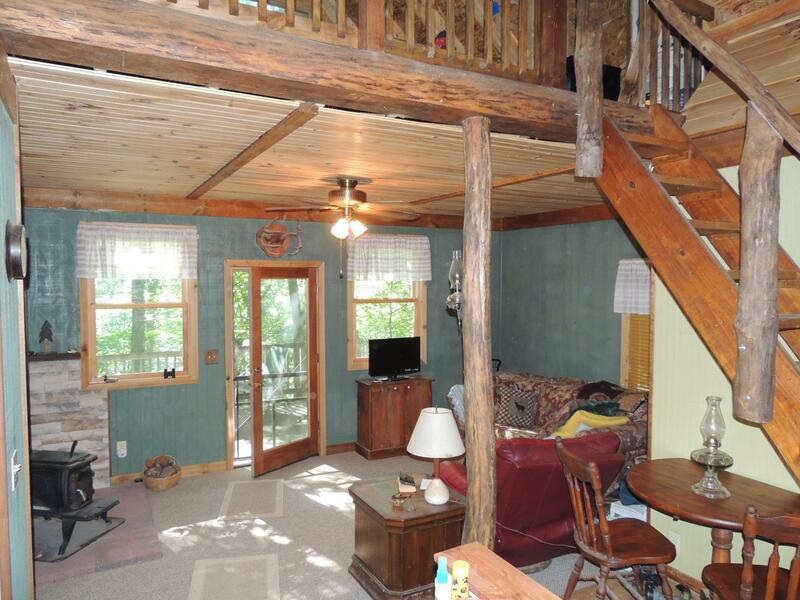 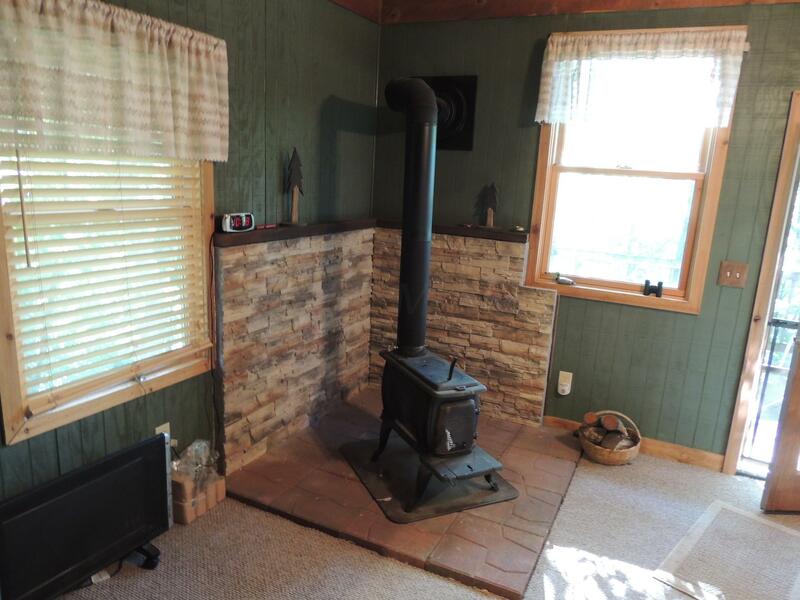 This 1 1/2 story cabin awaits your finishing improvements and decorating touches to make it your private getaway, rustic retreat or vacation rental cabin. 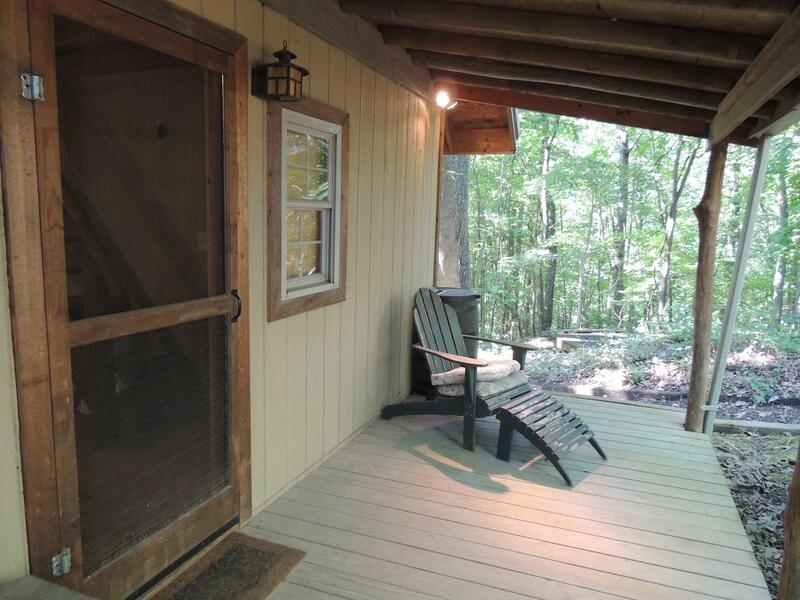 The level lane leads through a gated entry to the front porch. 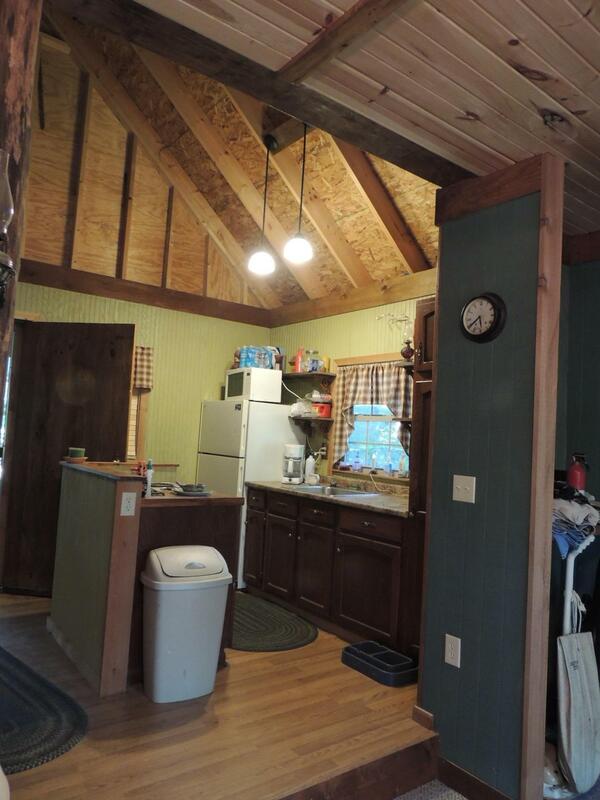 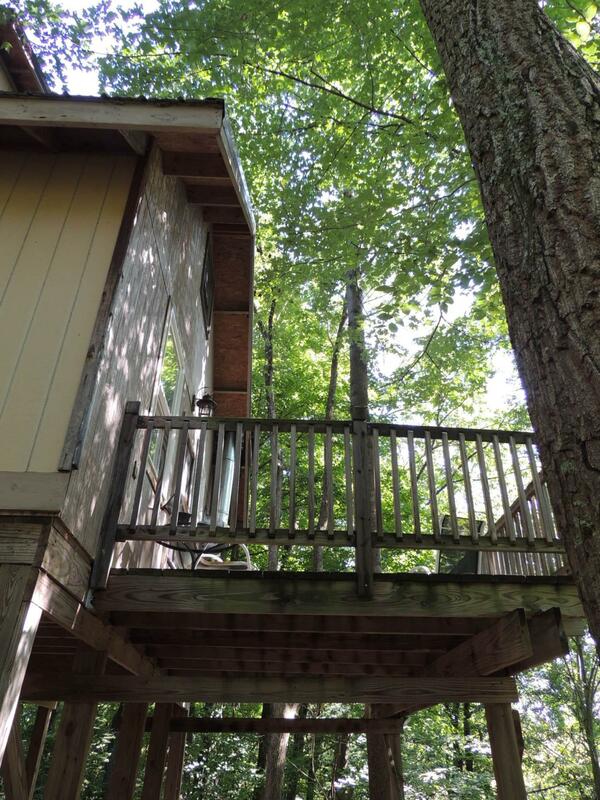 But walk through the cabin to the deck and it feels like a tree house! 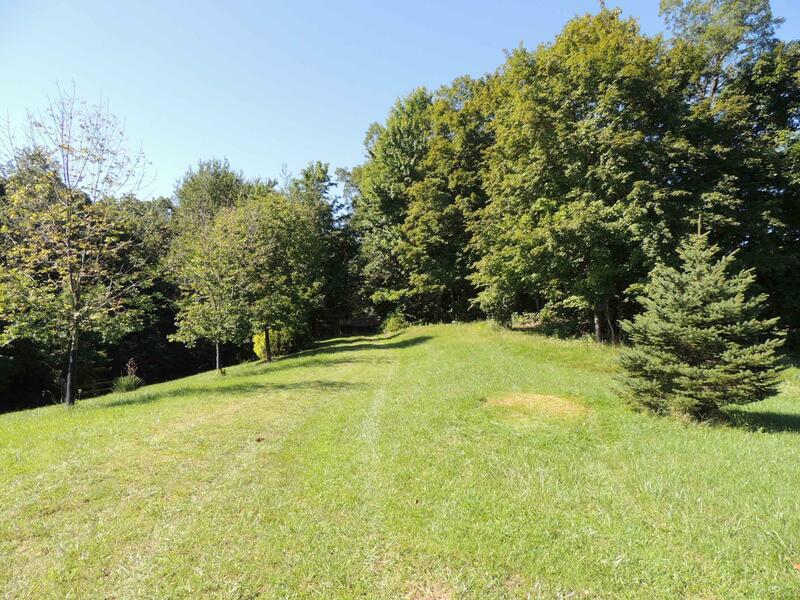 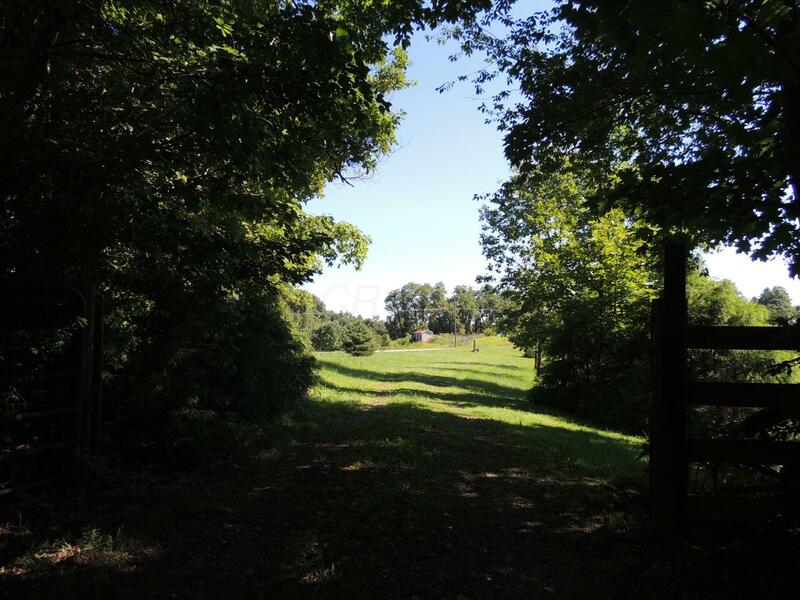 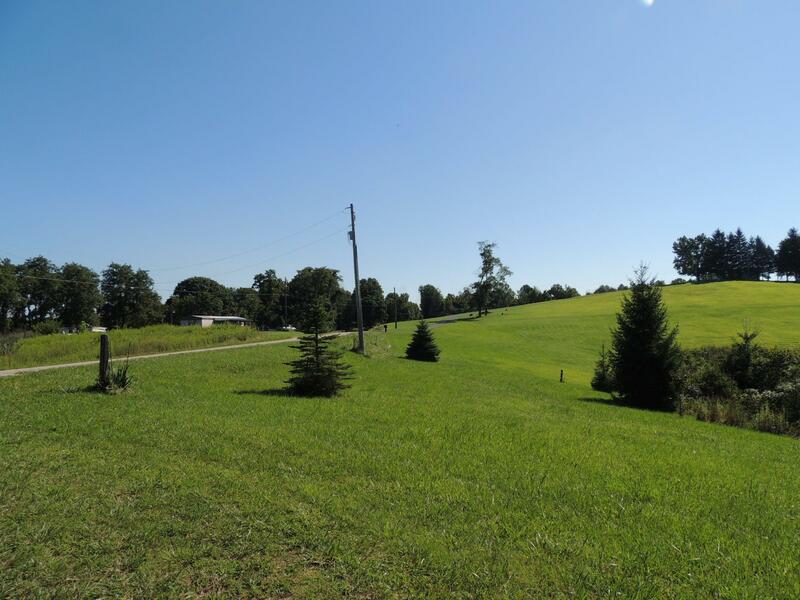 The woods boast a diversity of trees down to the ravine that borders the property. 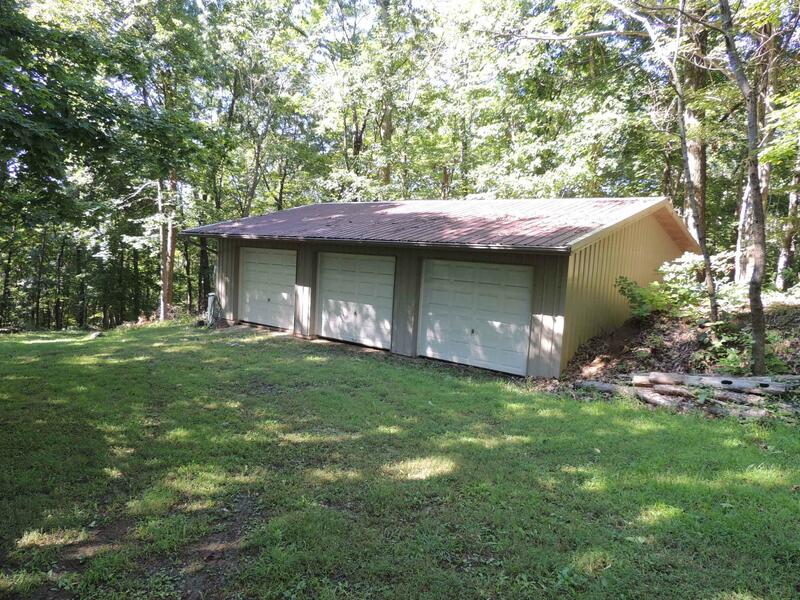 There is a 3 car detached garage that is great for storage, workshop or finish it for additional recreation or guest accommodation. 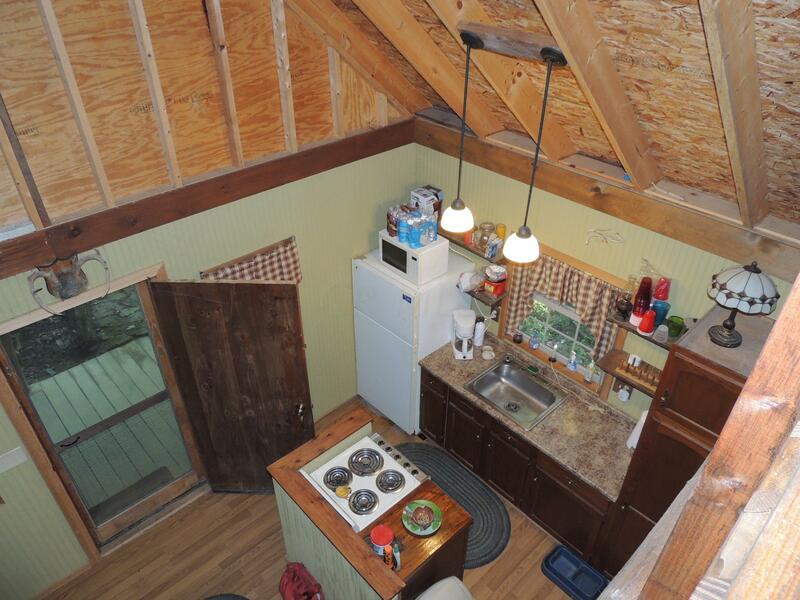 The main floor is approx 440 SF with open kitchen, dining, living and bathroom area. 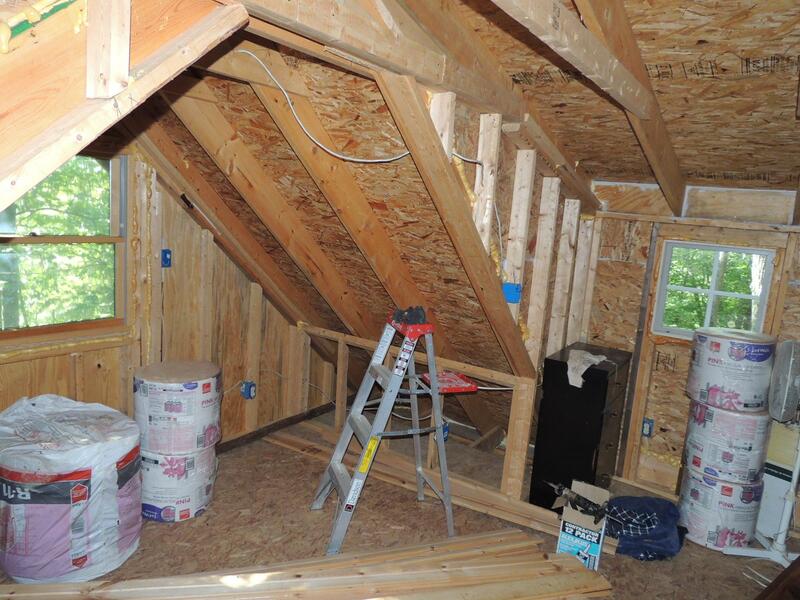 The approx 220 SF sleeping loft is not finished. 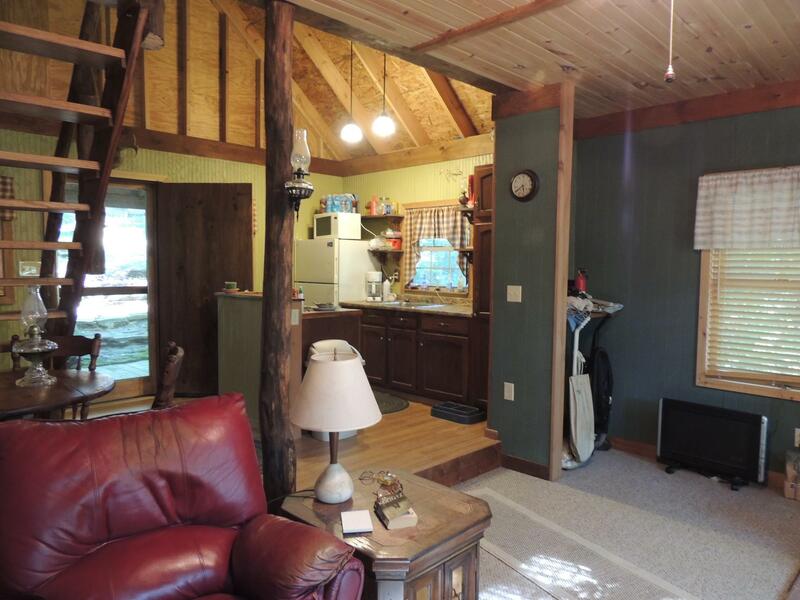 Rustic retreat or the beginning of a grand cabin in the woods!